Can Groupon join Google, Facebook, eBay and Amazon as next online icon? Rob Solomon, president and chief operating officer of the discount deals company, says: “We want to be the sixth iconic internet company. Since its launch in November 2008, deal-of-the-day website Groupon has grown into a business valued in excess of $1.3 billion. A leaked internal memo that emerged this year showed that revenues hit $760 million in 2010, up from $33m the previous year. The company expects revenues in the “billions” this year. Forbes magazine has called Groupon the fastest-growing company ever. Its success has led to a raft of other deal-of-the-day sites “cloning” the Groupon model – an estimated 500 worldwide, including over 100 in US alone. However, only one competitor, LivingSocial, is considered to be a serious competitor. 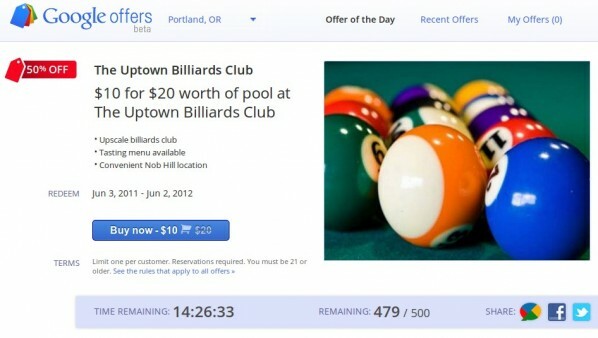 In the UK, LivingSocial has set its sights on overtaking Groupon by the end of the year. It was also reported to have received an investment of $175 million from Amazon. Other notable firms operating in the market include DealOn, Xferral, BuyWithMe, HomeRun.com and eWinWin. Travel represents one of the most lucrative areas of online retail, something City.Mobi has proved the pioneer in developing for mobile phone users. Its service offers the best mobile guides to over 800 cities in 200 countries, giving mobile phone users access to the best hotels and transport details while they are on the move. Each of the 800 sites is developed by the City.Mobi team to combine into a single global travel directory, with many already carrying Groupon and other localised deals. Sites on offer include London.Mobi, Brussels.Mobi, Paris.Mobi, Sanfrancisco.Mobi and Sydney.Mobi. Other key features include information on accommodation, restaurants, attractions, entertainment, nightlife, shopping and transport. 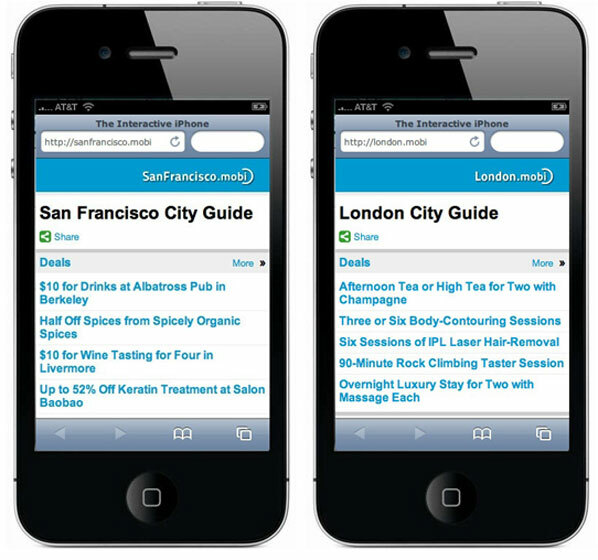 City.Mobi guides also include user reviews and traveller utilities such as a translation guide, currency converter, news and local weather guide. As Living Social and Groupon continue to look closely at mobile as a way of delivering their product to consumers the influence of platforms such as City.Mobi can only grow. Last December, Groupon spurned a take-over offer by Google estimated to be worth $5-6 billion, instead deciding to remain independent. Google reacted shortly afterwards by confirming it was preparing to launch its own daily-deals service. The result was Google Offers which has been rolled out exclusively in Portland, Oregon, with its first “Offer of the Day” being offered at a local coffee shop. Before noon on launch day, more than half of the 2,000 coupons had been snapped up. The deal – $3 for $10 worth of drinks and food – is good for a year at either of the two Floyd’s locations. Similar to Groupon and Living Social, Google’s new baby is a daily-deals service, with subscribers receiving announcements via e-mail on a daily basis. After the beta launch in Portland, the San Francisco Bay Area and New York are next on the list for Google Offers; though the company is remaining tight lipped on dates or further roll-out. Google Offers has the interesting twist that it will be integrated into mobile commerce platform Google Wallet. While the latter is definitely where mobile commerce technology is heading, it still only available on the Google Nexus S on Sprint with a Mastercard. 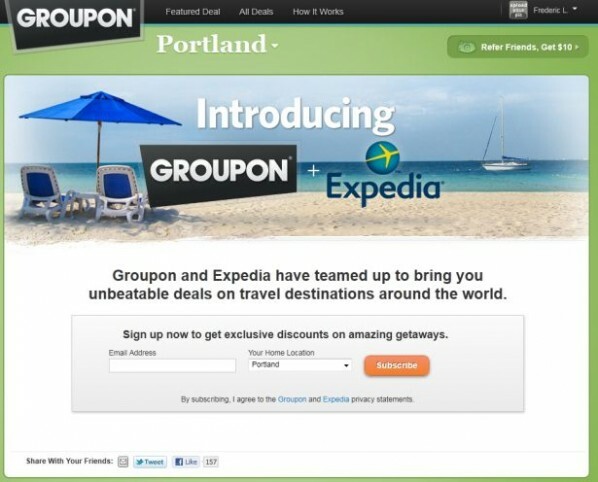 Groupon meanwhile is moving into the highly lucrative travel sector with a new partnership with Expedia, voted “World’s Leading Travel Internet Site” by World Travel Awards. In an interview at the D9: All Things Digital conference in Palos Verdes, California this week, Groupon chief executive Andrew Mason said the new service would allow people to book hotel rooms and airfare from Expedia at a discount. The deals would start with hotels, but the companies plan to offer travel packages, including plane tickets and car rental. The travel tie-up is expected to mirror Groupon’s entertainment partnership with concerts promoter Live Nation. “The partnership is an opportunity to bring our audience and brand and curation and combine it with their supply and provide a great consumer experience,” Andrew Mason told delegates at the D9. 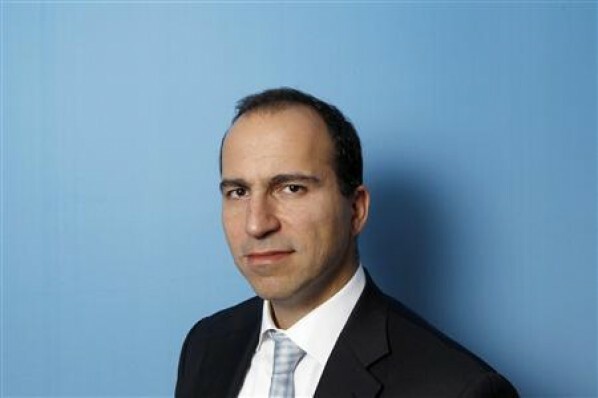 Expedia has previously dipped its toes in the daily deals market, and has already partnered daily deals with Groupon in the UK. A number of sites developed by the leader in mobile travel specialist City.Mobi already carry Groupon and other localised deals.